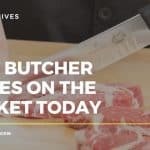 An electric carving knife is an essential purchase around Thanksgiving, however there are many other uses for an electric knife beyond carving up the turkey, which make it a good tool to have in the kitchen all year around. So, in true Sharpen-up form we have researched and reviewed the top 5 best electric carving knives available in 2016. The Cuisinart Electric Knife received the top spot this year. 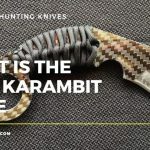 It really is a versatile knife that can be used for all manner of tasks, from slicing thin slices of roast beef or soft vegetables, to neat hunks crusty bread. (Check it out on Amazon). The table below will give you the rundown at a glance. However, for full reviews of each of our contenders, plus a whole lot more electric carving knife goodness – keep on reading. When buying an electric meat carving knife you need to pay attention to the types of blades that come with it. For carving turkey with an electric knife (or any meat for that matter) it is a good idea to have a carving fork on standby. Most electric carving knives will come with this as standard. However, a standard electric knife will not necessarily have a fork as part of the pack. Look out for the number of blade attachments that come supplied. Ideally you will want to have a long blade for carving meat, with the shorter blade useful for bread and vegetables. The more blades you have the more versatile your knife. Read the small print to know what the blades are made off. Look out for high quality stainless steel blades that you know will remain sharp and last you a long time. As a continuation of point number 1, detachable blades that are easy to fix on and off, (a good electric knife will have a quick release button) is a real bonus. You will want to be able to change blades without fuss, and remove blades for easy cleaning and maintenance. When shopping for the best electric knife, you need to consider the power of the motor. 100 watts is a good minimum cut off point, (anything lower and it just won’t have the strength you need for reliable carving). Corded knives will generally provide more power in comparison to a cordless electric knife, as there is the constant feed from the mains. If you do go down the corded route, you’ll want to make sure that the power cord is long enough for you to conveniently carve where and how you need too. 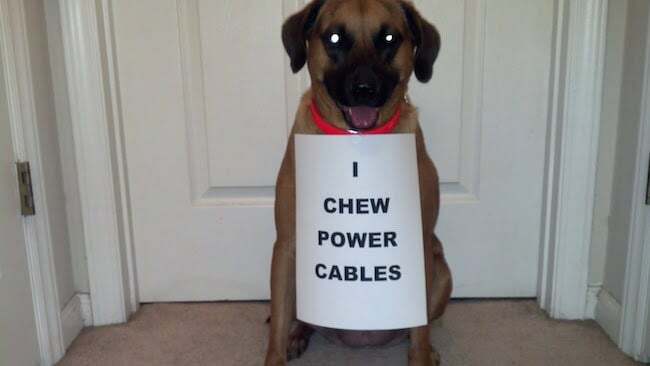 On the flip side, a very long cord may be hindrance if you have children or pets running around nearby. Electric knives with cords of about 4-5 feet should suit most households. However, if you are planning on using the knife for barbecues or want more mobility, a cordless electric carving knife is worth considering. 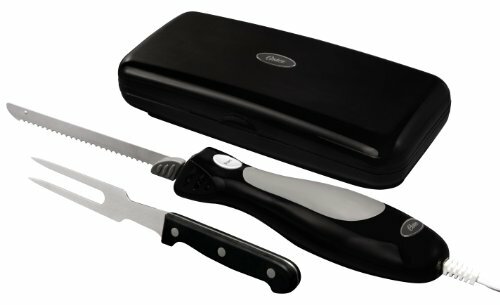 A well built storage case is another feature that buyers in the market for an electric turkey carving knife will often overlook. The fact is, the higher the build quality, the longer your knife will last. Storage cases can range from nothing at all, to ergonomic plastic mountings to high end wooden cases. Ensure to check what your electric knife comes with before you buy. The most obvious benefit of a cordless electric knife is the sheer convenience of it. 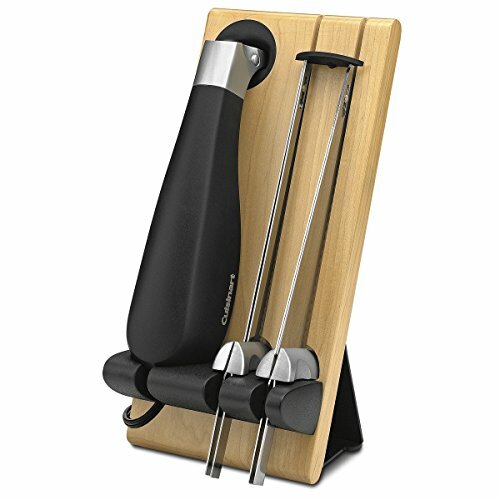 Whether you wish to carve the turkey on the table in front of your guests, or you wish to slice a few vegetables beside the BBQ, the cordless can be picked up and ready to work with minimum fuss. No need to find a wall socket, deal with cables or find an extension cord. The flip side of course is battery life, the need to keep it charged and overall power levels. As we mentioned above, 100 watt or more is ideal. If your battery is running low or is getting old, you may find that your cordless electric knife does not have the power to carry out the tasks you need. Furthermore, even a fresh, fully charged battery may not hold up if you have a lot of carving to do. Battery charge length does vary on the quality of the tool you are buying. It pays to spend a little bit more to ensure you’re getting a quality electric knife that will perform well and last you a long time. The Cuisinart electric knife receives our number 1 best electric knife top spot for a number of reasons. First there is the reliable Cuisinart manufacturing quality. 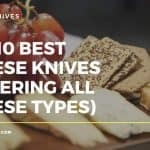 You may have to spend slightly more for this knife compared to others in our list, however it is very evident as soon as you pull the CEK-40 from the box that you are getting a superior cutting tool. First off, the motor is nice and powerful. There’s no struggling going on here when carving thick slicers of meat. In all our tests, the Cuisinart electric knife did not overheat or have blade problems when in use. 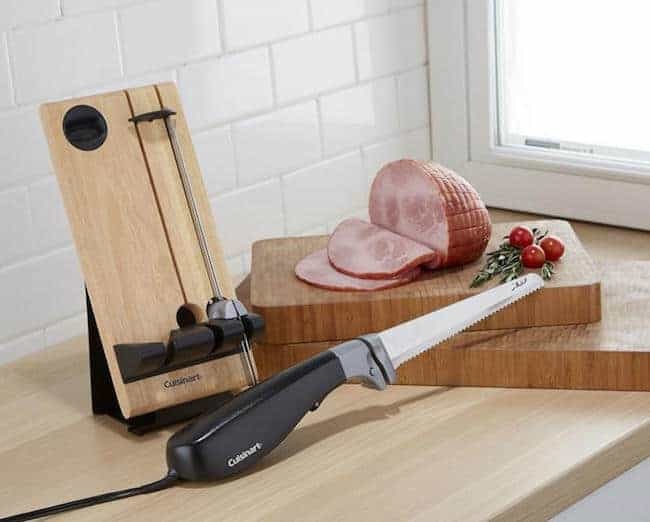 The two stainless steel blades, (one for vegetables and bread, the other for meats) are very sharp and feature a really easy to use blade release mechanism – with a push of a button, the blades pop from the knife and can be swapped across. The knife also has a very well thought out Safety Button that locks the on/off button in place, preventing unwanted blade activation. Using the Cuisinart electric knife couldn’t be easier. A one touch pressure activated on/off trigger control system means you can concentrate on holding and guiding the knife rather than worry about buttons and activation. An added bonus is that the design of the tool makes it convenient for left or right handed use, (it also looks very damn sleek at the same time). Another aesthetically pleasing aspect of the knife if the very lively solid wood butcher block that is provided as a storage solution. This really does look the part, and adds a level of sophistication to the entire kit when not in use on your worktop, (or drawer if you so desire). This also features a blade lock system to hold the blades in place on the block. To round it all off, the adequate length of the 4 foot cord allows for a great level of flexibility, and can also be stored away within the base and block for minimum countertop clutter. Unlike some of the other knives in our list, this does not come supplied with a carving fork. This is a small price to pay however. The Cuisinart Electric Knife CEK-40 is far and away the best electric carving knife you can buy in 2016. If you can stretch to the list price, this is the one to go for – well worth the money. The Hamilton Beach electric knife is for those on the budget but are obviously still after an adequate tool that can do the job. The 100 watt motor does a good job of ensuring the Hamilton Beach is up to the tasks you can throw at it. However, you will experience overheating with this product after extended use. Again the knife is very simple to use. A simple trigger button activation system is used to begin the cut. 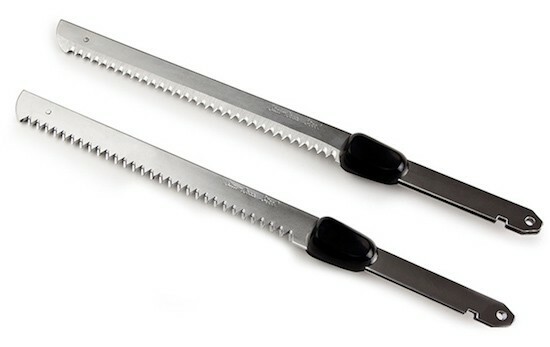 Two serrated blades saw back and forth at high speed to do the work for you. 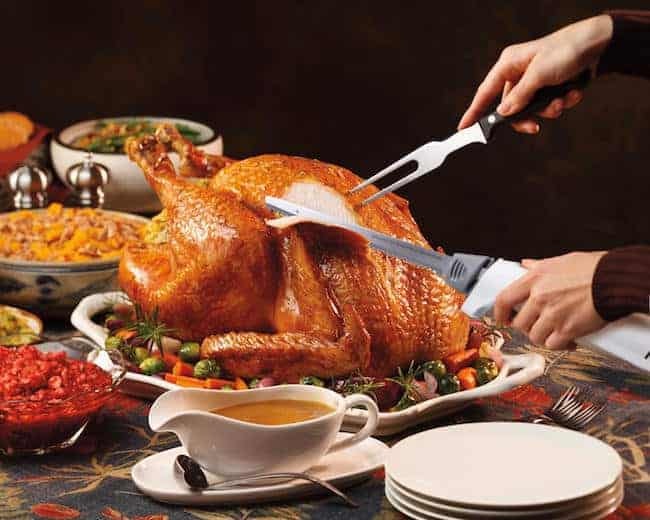 The knife also comes with a two-pronged fork making it a great turkey carver electric knife option come Thanksgiving. Storage is adequate enough, but nowhere near the same quality as that of the Cuisinart. A flexible plastic storage container is the go here, with foam inlay. A worthwhile purchase if you are on a strict budget. However, if you can afford a bit more, the Cuisinart would be the better choice. The Oster electric carving knife is a mid budget offering that does a good job of balancing affordability with superior build quality. Aesthetically speaking the knife looks great in a contemporary way, with the case being sleek and practical at the same time. Again, the stainless steel blade is sharp out of the box, and will make light work of any carving and slicing tasks you undertake. It is also detachable for easy maintenance and cleaning. 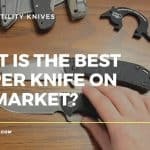 The Oster differs from other knives in this list in that the switch is on the top of the knife rather than used through a trigger system. For some this has enabled greater control, for other customers the end result has been quite the opposite. With that in mind, it would be a good idea to get your hands one before purchase to test your own preference. Like the Hamilton Beach the knife also comes with a separate carving fork making it a good choice for the big Thanksgiving turkey. Some users have commented that the button position on the top of the knife makes it awkward to use. A good electric knife that is built well enough and looks good too. However, there are a couple of niggling issues that might put of some buyers in light of the other electric knife options available. Another mid range budget option from Kalorik. Don’t be put off with the obscure brand name, this is a good all rounder than holds up well against the other electric knives in our list. There’s not a huge lot to set it apart from the Oster, (it is both close in style and price). 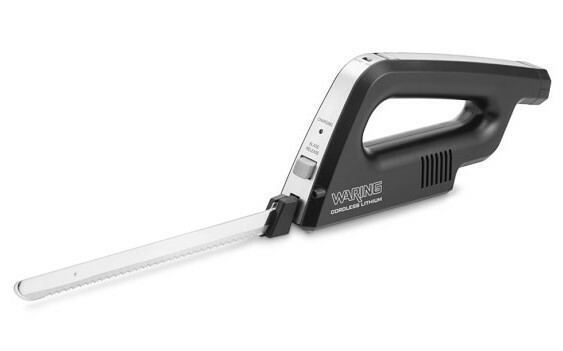 It has the prerequisite stainless steel blades, (a little longer on this product actually, making it especially good for large loaves), and features the easy to use trigger system built into the handle. On the downside the motor does actually smell slightly when you first begin to use it, which doesn’t necessarily instil confidence as to the longevity of the knife. However, few if any customers have reported a short shelf life for the tool. The supplied storage box is again simple and effective, for a tidy knife when not in use. A blade guard and locking system are also supplied. A good all round solution. Sturdy enough build quality with nice case and safety features. You will not be disappointed with this purchase. At the time of writing the Black & Decker EK700 is the lowest priced electric knife in our list. It does come with its problems however, much of which stems from the low budget option that it represents. The build quality just isn’t quite there. There’s some nice features with the safety lock, and above par handle that really is well shaped. To appeal to as broad audience as possible, the designers over at Black & Decker have opted for a serrated section on the blade (measuring 7”), however there is also a 2” tang before the plastic safety guards that allow for a maximum of 9” carving length. If your budget is tight, that’s great value for money for a tool that does the job well. It is cheaply constructed and you can feel that as soon as you pick it up. The blades are not the easiest to remove for maintenance. If money is an issue, you will be happy spending next to nothing to acquire a reasonable electric knife solution. It definitely lacks the finesse of the other knives in our list, but still does a good job. Very good value for money. 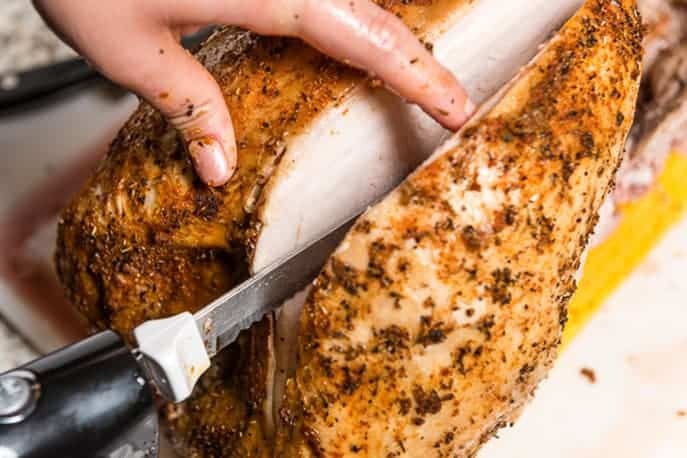 An electric knife is both easy to pick up and use, and saves you from the potentially strenuous task of carving meat. In short, the motor and the blades are doing all the work for you. You simply apply a little pressure as the blade slices through, and that is all. A good electric knife is a pleasure to use. 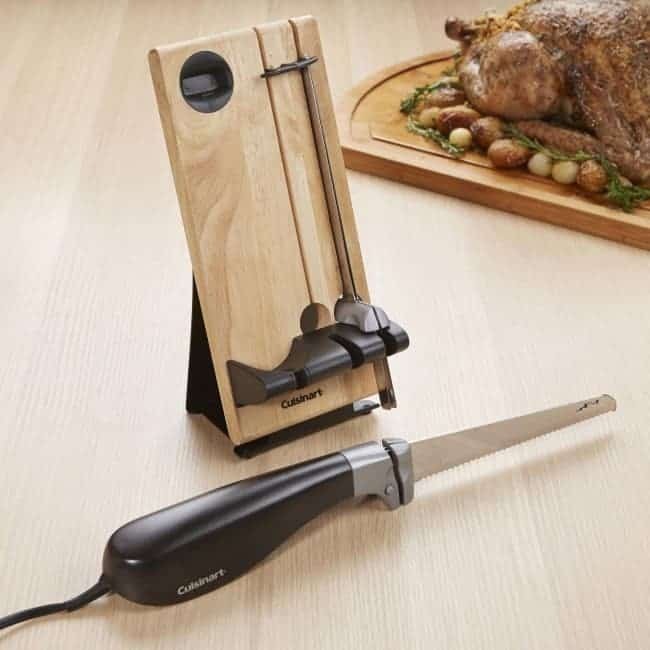 An electric carving knife will make very short work of your turkey. 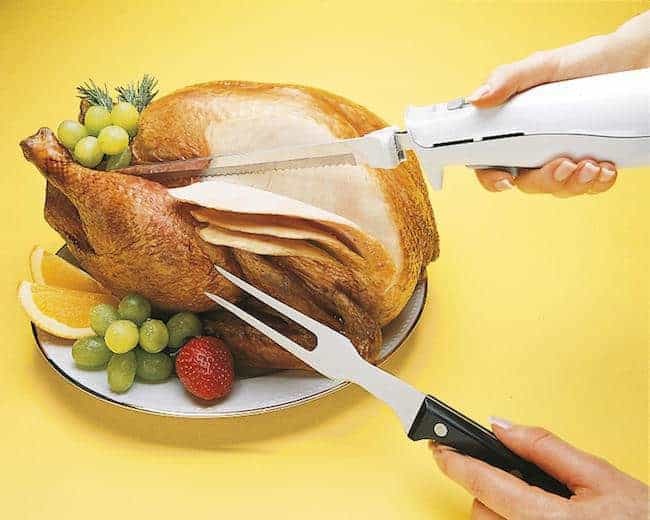 What could take between 5 and 10 minutes manually, can be done in 1 or 2 with your handy electric turkey cutter. And of course, the same tool can be used on other meats and vegetables too. As an efficient timesaver, electric beats muscle power any day of the week. The evenly cut slices you get from an electric knife, not only enhances the aesthetic quality of the meal you are serving, it also ensures exacting portions and even better flavour as the juices stay within the meat, rather than over the serving plate or knife. Furthermore, when used with vegetables and bread, those even cuts will become something you really appreciate when compared to your old, pre-electric knife world of carving and slicing.